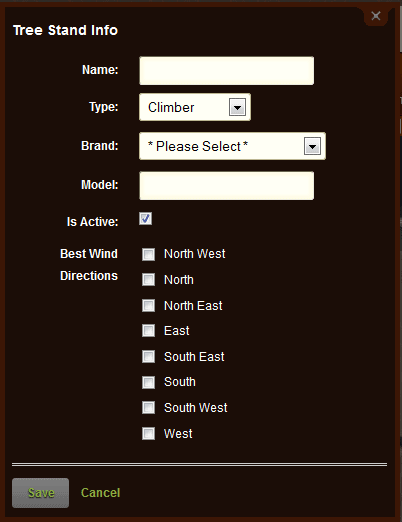 BGL Basics: How do I add Tree Stands? 4. Enter the stand info on the pop up window. 6. Click save, it will take you back to the edit map. 7. Return to camp home if you are done. Top left corner of map. 3. Make sure your coordinates are in Decimal format. Use http://www.csgnetwork.com/gpscoordconv.html to convert. 4. Enter the Longitude and Latitude coordinates. 5. Either hit enter or click on the Add Tree Stand Link to the right of the coordinates. 6. Enter the stand info on the pop up window. 8. Click save, it will take you back to the edit map. 9. Return to camp home if you are done. Top left corner of map.